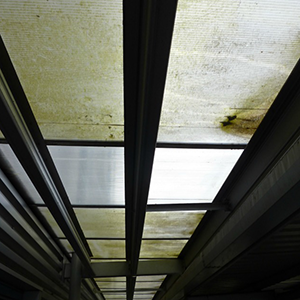 Adept cms can clean your cladding, gutters, soffits, fascia’s, signage and other exterior surfaces with a number of cleaning methods safely. It’s suprising how quickly dirt can build up on your exterior surfaces, as always regular maintenance is best but we can also restore your surfaces to a like new appearance. If you would like to learn more please scroll down or if you are ready for a free no obligation quote click here. Your building is probably one of the biggest investments you will make, it’s also one of the first things your prospective clients will see. A clean buildings convey an attitude of care and attention to detail. Over time cladding can start to look dirty and old especially with all the wind & Rain the UK gets. Clean cladding conveys an attitude of care and attention to detail. 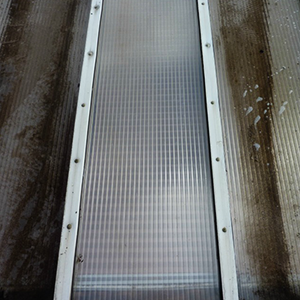 The dirt builds up slowly on cladding without you realising, if left untreated it can stain and become irreversible. A regular cleaning schedule prevents a build of dirt and possible staining from minerals in rain water which can be costly to remove. The same goes for your windows, frames, atriums, covered walkways, signs, solar panels, conservatory roofs, soffits and fascia’s. We have experience in a number of cleaning methods and can use one or more of the following; Pure HOT water cleaning system, pressure washing & softwashing. We are experienced in work at height although in most cases we can carry the work out from the safety of the ground. Safe in the knowledge that we operate within HSE guidelines as property owners have a legal obligation to make sure anyone on their property is safe and or working responsibly (Risk Assessments and Method Statements provided). Uniformed, fully trained and polite staff. Satisfaction Documents are provided so you know the job is done right. We can also clean your windows, signs, canopies and pathways. Many happy clients, but don’t take our word for it read one of our many testimonials below. When and how often should I have it done? 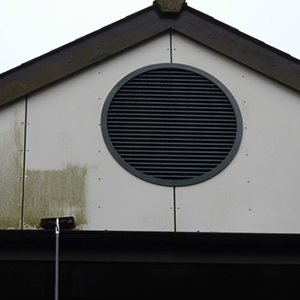 We can clean your cladding at a time convenient to YOU. How often depends on you, but we can provide a free site survey taking into consideration traffic (both mechanical and human), the environment, your concerns and your budget. Contact us below for a free no obligation quote or request a free site survey to be satisfied you are getting the best service and deal from your current cleaning and maintenance provider.